Christ is risen! He is risen indeed, Hallelujah. Dear friends, we just celebrated the resurrection of Christ a week ago. Easter is an event that assures us of the victory we have in Christ; victory over death, victory over sin, victory over Satan, victory in all things. Our victory is in the name of the Lord. Our theme for the second quarter of the year is Victory in Christ. I once taught in school called Ushindi in Arua, the school’s motto is Victory in Christ. I love it. As I start my middle adulthood, I have realised that I have no victory elsewhere than in Christ. As such I have named my son Ushindi because I know my Victory is in Christ. “My dear children, I write this to you so that you will not sin. But if anybody does sin, we have an advocate with the Father—Jesus Christ, the Righteous One. He is the atoning sacrifice for our sins, and not only for ours but also for the sins of the whole world” (I John 2:1-2). We have Christ Jesus with us, he is our advocate, our Helper. We shouldn’t struggle in sin because he is ever present to help us. Christ is our helper not only when we are being tempted, he is actually our helper in all things at all times. As Hebrews 13:8 declares that Christ is same yesterday, today and forever, He shall forever be our Helper. There are two psalms that I like reading most; Psalm 121 and Psalm 124. “I lift up my eyes to the mountains— where does my help come from? My help comes from the Lord, the Maker of heaven and earth. He will not let your foot slip— he who watches over you will not slumber; indeed, he who watches over Israel will neither slumber nor sleep. The Lord watches over you— the Lord is your shade at your right hand; the sun will not harm you by day, nor the moon by night. I am aware that there are many small things that often are a thorn in the flesh. I am aware that many things toss us left and right. I am aware that many things press us hard to the wall. I am aware that many of us cry, sob and shed tears all night. I am aware that many of us struggle getting our basic needs: food, good water, clothing etc. I am aware that financially many of us aren’t atop. I am aware that many of us struggle with broken relationships. I am aware that to many of us, life is a struggle that we hardly wish another day to come. I am also aware that many of us have been lifted up that we don’t have any struggles when it comes to meeting our needs. I am here to promise you that Christ is Our Helper. 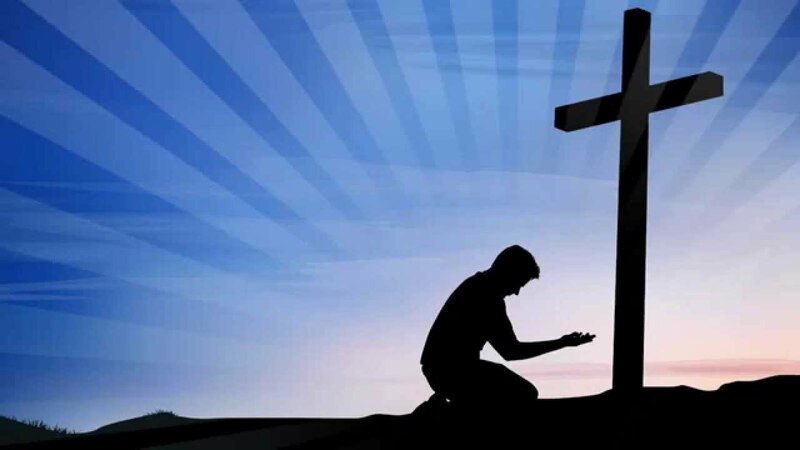 I am here to encourage you to make the name of the Lord your help, I am here to encourage you to lift your eyes to the Lord from where your help comes, from the risen Lord Jesus Christ. Sadly, many of us don’t recognise that we are what we are because of the Help the Lord has given us. Sadly, many of us don’t acknowledge Christ as our Helper hence all the struggles we have. We are too busy for God. We live in a busy, busy world. Busy in office, busy at work, busy studying, busy on social media that we become too busy for God. The more we are too busy for God, the more we are curtained from seeing him as a Helper, the more God’s help also dwindles on us. You cannot be too busy for God, you ought to be too busy in him, you ought to be too busy studying His Word, you ought to be too busy praying, you ought to be too busy in praise and worship. Until then, you will see the glory of God, you will see the help of God. But when you are too busy for God, you won’t see his help. Remember when you are too busy for God, you are Being Under Satan’s Yoke (B-U-S-Y). Don’t be too busy for God, be too busy in God. Remember that God is the source of our lives, he is our Helper. “God is our refuge and strength, an ever-present help in trouble. Therefore we will not fear, though the earth give way and the mountains fall into the heart of the sea, though its waters roar and foam and the mountains quake with their surging” (Psalm 46:1-3). If we have this view of God’s greatness and majesty, we’ll “approach God’s throne of grace with confidence, so that we may receive mercy and find grace to help us in our time of need” (Hebrews 4:16). May the risen Lord Jesus Christ be your Helper now and forevermore. Amen! Unless otherwise indicated, all Scripture quotations are taken from the New International Version (NIV). Rev. Julius Izza Tabi (Master of Philosophy in Religion, Society and Global Issues) is a lecturer at Uganda Christian University Arua Campus. Previous Almost: What’s Keeping You from Coming to Christ Now?